A forehead lift surgery or brow lift surgery is a popular Beverly Hills cosmetic surgery procedure which can restore the more youthful look above the eyes. The procedure that Beverly Hills plastic surgeon, Dr. Warren Lent uses will correct drooping brows, improve the horizontal lines and furrows on the forehead that are the result repetitive frowning. All those years of raising your eyebrows in astonishment, scrunching your brows together in a scowl or just the constant assault of gravity have taken a toll on your forehead. The indelible wrinkles and the drooping brows have become noticeable. This highlights that there are essentially two components to the aging forehead; the skin changes resulting in wrinkles and the change in position of the eyebrows. Deep wrinkles are caused by several factors, most notably skin damage due to sun exposure and the constant contractions of the underlying muscles of facial expression. By understanding the causes, patients can now more easily understand the rationale for treatment recommendations. The first line of treatment for the forehead is with "injectables"; either fillers such as Restylane and Collagen, or muscle paralyzers like Botox. The "fillers" act by puffing out the skin at the site of the wrinkle, while Botox paralyzes the underlying muscles preventing them from squeezing or furrowing the skin. Both groups offer only temporary solutions as they wear off within a few months. A permanent solution requires a plastic surgical procedure called a Forehead Lift or Brow Lift. This procedure usually incorporates a combination of removal of the muscles causing the wrinkles and smoothing or stretching of the affected skin. Additionally, the wrinkles may require Laser Skin Resurfacing, which is an excellent way of erasing lines as it causes the body to bring in fresh collagen. Board certified, Beverly Hills Plastic Surgeon, Dr. Warren Lent has consistently been recognized for his outstanding work and experience with these procedures. Drooping of the eyebrows is a consequence of gravity. As the soft tissues of the forehead lose their strength with age, the natural effects of gravity cause the brows to migrate downward, below the edge of the forehead bone, to encroach on the upper eyelids. This gives the tired or aged appearance that so many patients complain of. Treatment is directed at restoring the eyebrows to their natural position just above the boney rim of the eyes. There are several techniques to accomplish this goal but all require the pulling upward on the forehead soft tissues. This can be accomplished with a standard Forehead Lift with incisions well camouflaged in the scalp hair or with an endoscopic Forehead Lift. 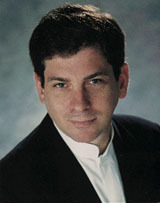 Los Angeles Plastic Surgeon, Dr. Warren Lent has developed specialized techniques and skills, which allow for the results that are natural and harmonious with his patients' appearance. Friends and family are more likely to ask "what is different about you?" " are you getting more rest?" or "are you on some type of new health program?" This can be the ultimate compliment as it is the best testament to a natural result. A Forehead Lift is almost always performed under general anesthesia on an outpatient basis. Recuperation typically lasts 7 to 14 days. Patients are required to avoid all exercise, heavy lifting, bending over or other stressful activities for two weeks after the procedure. Forehead/Brow Lifts are generally considered to be safe procedures, however like all medical treatments there is some risk. Risks include bleeding, infection, muscle paralysis, skin damage and the risks of anesthesia. As a board certified Plastic Surgeon, Dr. Lent will take every precaution to help avoid or minimize risk. Forehead Lifts are an excellent way to restore an alert, well-rested appearance, but they may be just one component to an overall plan to improve the appearance of one's face. You may want to consider Laser Eyelid Surgery to improve the appearance of your eyes, a Face Lift to restore a youthful appearance to the lower face and neck, or Laser Skin Resurfacing to eliminate fine wrinkles. Beverly Hills plastic surgeon, Dr. Lent, has performed thousands of these procedures with great success. To best understand all of your options, a full consultation with Dr. Warren Lent is recommended. This double board certified plastic surgeon specializes in forehead lifts and brow lifts for patients in the Los Angeles Beverly Hills area.